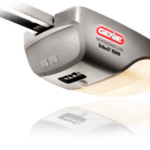 Get Ready for Winter With COHD Co.
Home / Blog / Get Ready for Winter With COHD Co.
Much like a car engine, garage door openers can feel the effects of freezing temperatures. This does lead to slow-moving parts and adds strain on the motor. This mechanical freeze-up can also be confused with an actual freeze-up, where melted ice and snow can actually physically freeze your garage door shut. 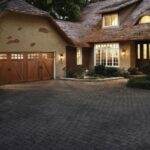 The Denver garage door professionals at Colorado Overhead Co. have come up with some tips to help you prevent these issues from occurring next time the temperature drops. There are a few ways to do this, but we will warn you first: You should use extreme caution when working with electric appliances and wet surfaces. Many homeowners will attempt to use a hair drier to help melt away the ice, but we recommend trying to chip away at the ice first with a hammer and metal object. When doing this, make sure that you do not damage the seals located at the base of your garage door. Boiling water is another common solution, and while it is effective, you will want to be sure that you are able to quickly remove the water before it freezes over again. Space heaters and road salts sound like reasonable solutions, but one is very time consuming, and salts can actually cause your garage door to corrode. We know you don’t want your car to be blocked inside the garage when you need it during the winter season. So, here are a few simple tips that can help prevent you from having to deal with this issue, and fortunately for you, most cost little to no money. Applying silicone spray to the bottom of your garage door seals can prevent your garage door from sticking to the ice as it builds up. 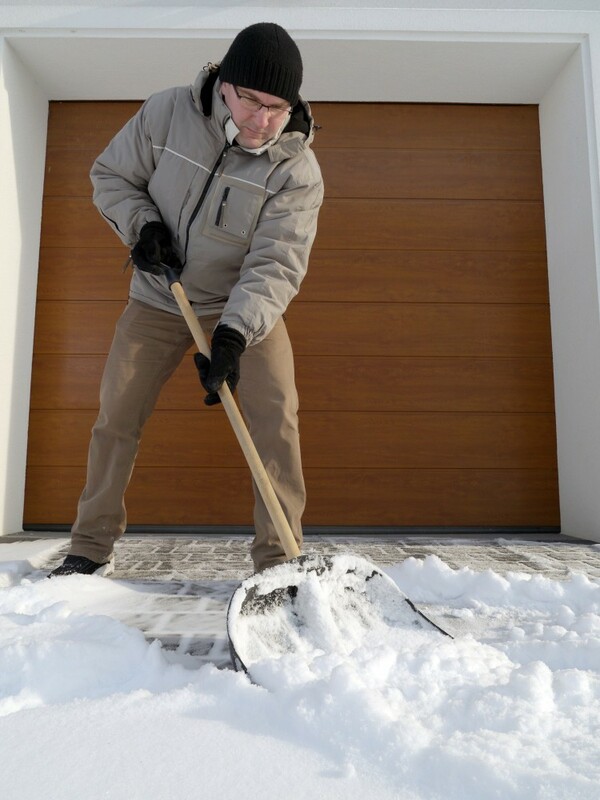 Keep the area in front of your garage clear of snow and ice. While this does require you to go outside and deal with the weather, it will make your life easier when you want to leave your property. 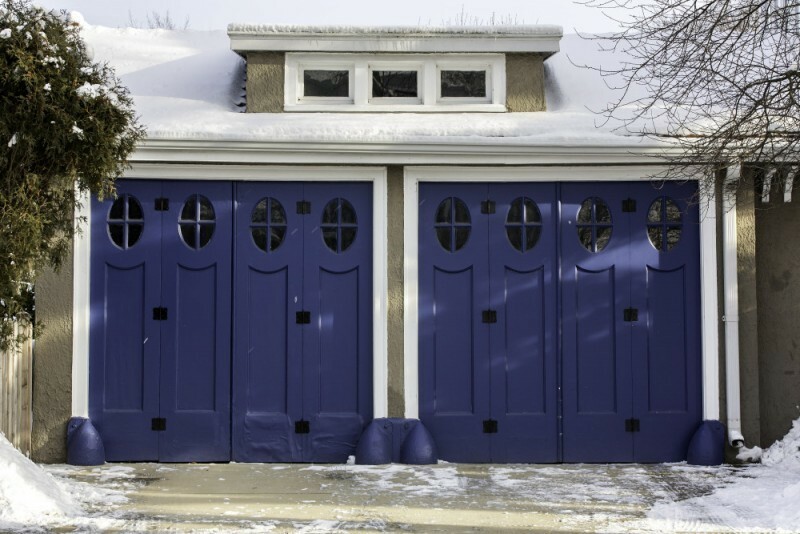 Leave your garage door open when winter weather is in the forecast. 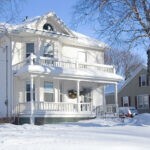 While this suggestion may seem like a way to invite cold air into your home, it is actually one highly recommended as it proves to be very effective. As always, if you have any questions about your garage door, or should you be in the market yourself, give the team at Colorado Overhead Door Co. a call today. We also encourage you to browse our website to learn more about our garage door company and contact us today for any related question or a free quote. Our experienced staff can help answer any and all of your questions, and they are more than happy to prove to you why they have become Denver´s most trusted garage door center.